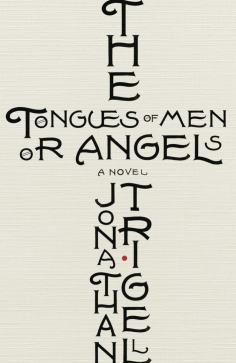 This is a very belated review of the Tongues of Men or Angels, by Jonathan Trigell. I have put this off for three years, because I knew what a challenge it would be to write. I won’t feel that bad though as Trigell’s story took two thousand years to write. This review/blog contains some mild spoilers, but it also contains much of how it made me feel and if you’d rather not hear about the deep personal journey it took me on, or the possible folly of following a religion then it’s best to stop reading now. Such is the difficulty of writing this review, that it has been weighing on me like a millstone and even as I type this, I am questioning the foolishness of my actions. What do I have to gain from writing this? Nothing but judgement, ridicule and abuse—and maybe a bit of cheap therapy, I guess. Why should I do it? Because something changed my life in a way that was unexpected and I felt a need to get it out of my system and authors should know when they’ve done something amazing. Writing a book is like running a marathon every day, only to be told that you’re not doing it right and the style could be improved. Authors need to know when they’ve touched someone with their writing. As a writer myself, if I had profoundly affected someone through my writing, I would want to know. It would mean more to me than any money or award I could receive. To deeply move someone as much as this work moved me would be beyond anything I could wish for. 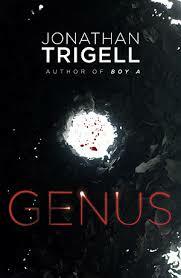 Trigell’s previous book, Genus, was a novel that I adored and it ranks very near the top of my personal favourites. After finishing it, I needed more Trigell in my life and I waited with great anticipation for his next novel to be announced, only to have a sinking feeling that I would never be able to read it. Genus. A scary tale of a near future set in King’s Cross, London. However, I was brave. Often through slits of light between my fingers, I started to read the book and I couldn’t put it down. More than that, it changed the world I see now, and the world I thought I knew from two thousand years ago. With this, it changed everything else and inspired me in ways I struggle to explain. Before the novel even starts, Trigell almost gives the game away with two quotes from St Paul and one from John Updike. 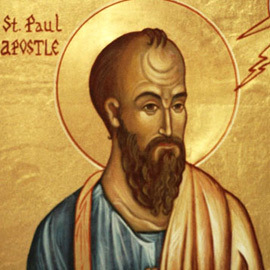 Leaving us with a sense that Trigell sees St Paul (or Saul of Tarsus) as the central character. Perhaps, suggesting that Paul is a man of incredible faith and conviction but that this could well be misplaced. Perhaps those of faith are the ‘monkey dancing on the temple steps’ – so many questions to ponder before the first chapter has started. Jonathan Trigell’s The Tongues of Men or Angels was not just a novel, but it made me change the way I looked at the world. It terrified me, it made me turn away and justify why I read it and continued to read it. It made me question everything I knew and, against all the odds, it did something completely unexpected. It should have made me question my faith, yet it transformed it and, perversely, made it stronger in some ways. I’m pretty sure this wasn’t Trigell’s intentions, yet, the novel reached into my being, grabbed hold and never let go. The book is a fictional telling of the time of Jesus. It covers the period leading to his crucifixion and the aftermath of his death. It starts a few days before the crucifixion of Christ, or simply, Jesusâ, as Trigell writes. So, why was this such a difficult novel for me to read? Faith is a funny thing. Something I struggle with on an almost daily basis. People judge you. It’s best to keep quiet about it. Hide it. Faith is like an f-bomb on live TV, only this f-bomb, the faith bomb, is more serious and invokes stronger reactions and distaste. There is the ridicule from trolls. The screwy-eyed, twirly-finger look you get from others indicating in their medieval way that you might have a severe mental illness. The blind assumption that you’re stupid, intolerant, ignorant, gullible, science-denier, fact-phobic, or that you blindly follow some rules which were invented thousands of years ago, when times were very different and the world today requires completely different answers. I’ve seen the nicest people become almost unhinged, nasty and intolerent when they’re having a pop at religion. Funny that. Silence is a virtue for me, but also a protection mechanism. I work in an incredible and historic place, a place that houses some of the brightest people on the planet. Yet people far smarter than me have a faith, so I know it’s not an intelligence thing. I would never question someone’s intelligence, or views, no more than I would deny them oxygen, yet it seems fair game if someone has a set of beliefs. Hence, this is all a bit scary. For me, I understand the science, yet there remains more. A spirituality that I can’t explain through reason. A connection that I can’t discount through logic. I have seen things I struggle to explain, felt things that science can’t fit into neat box. My faith, however flaky and diluted, exists. Call me a cheat, but I have my own version of a religion. I don’t blindly follow things I simply find odd or those that don’t promote equality and fairness in all its forms. Most would call this ‘trying to be nice and do good things’. Despite having my very watered-down sense of faith, some of the things that Trigell has written were highly uncomfortable for me. To be even reading them felt like betrayal and that I was, somehow, complicit in blasphemy. In my struggle with faith, it is truly hard to describe just how this felt—perhaps an animal lover visiting an abattoir might feel some of what I felt, or I felt some of what they might feel—sorry if this is an inappropriate comparison, but it’s something so personal, deep and ingrained within me that it’s almost impossible to articulate to others. There is a conditioning, a fear, an inbuilt understanding that is so deep that it might as well be printed on my soul, if you believe such a thing exists. How did I get round this and how did it feel reading the book? Trigell showed me a world rich in superstition, intolerance, hatred, injustice and poverty. He showed me a world where people were discarded, beaten, and unimaginable violence was inflicted on them—for boredom, punishment for being nothing more than themselves. Sometimes it was purely for entertainment, or fun, or to enforce the brutality of a regime that thought it would rule the world forever and who were quick to crush rebellious uprisings with a cruelty that almost defies belief. It became clear from reading the book that Jesus and his followers lived in a time of terror and torturous oppression—facts that I barely considered. 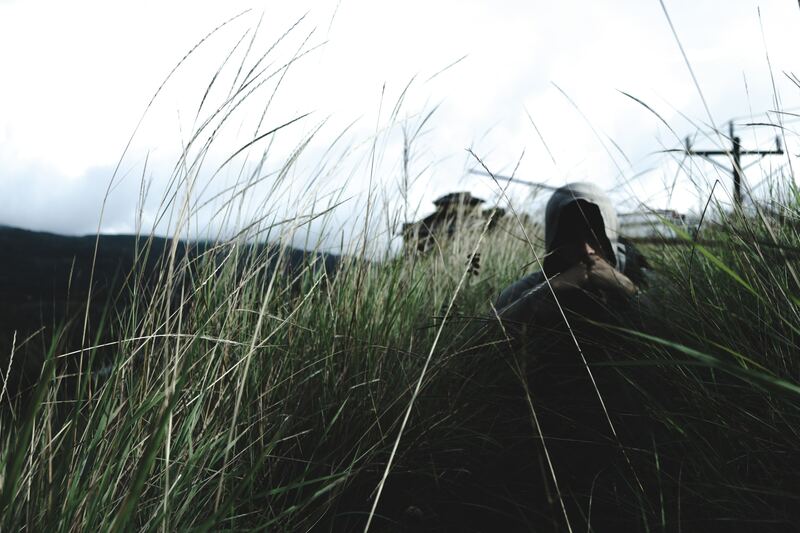 Where the average person died early and had to contend with the rules—rules of an occupying force, rules of society, rules of religion and the dog-eat-dog continual survival many had to endure. In this world, Trigell is often humorous in his portrayal of grim topics. Outwardly it would be easy (and lazy,) to say that he is poking fun at saints and martyrs. Yet, there is an understanding. Understanding that these people would have been labelled as mad, at best. And dangerous insurgents that needed to be brutally annihilated at worst. The novel showed me a time when people needed a cause, a miracle, the long-promised messiah to bring about a change. That their lives were so limited in potential and harsh in daily survival—that death or answers from supernatural or religious prayers were all they could hope for in terms of release. That with each passing month, new individuals would be proclaimed the messiah from the groups that supported them. These were times when people longed for ideas and leadership. Where claiming to be linked to figures or prophecies from scripture was to strengthen your cause, or that of your leader. In these times seemingly ordinary people were called, or compelled, to give up their lives for a chance at changing things for the better. The novel is spilt over time, with the crucifixion acting as the central pivot of the book. It spans a period of almost a century, from shortly before the crucifixion to the death of the first disciples. The novel is told from different points of view. It jumps in timing. Some reviews have said that this was a distraction. I felt it added to the story. It kept me on my feet and gave a sense of a rambling series of different story-tellers in front of a fire, telling the events, but in their excitement telling them in a muddle and getting the sequence skewed. Perhaps, for many, the Bible comes across like this too? This is a fictional story of Jesus, but Trigell is more interested in showing how the death of ‘one man’ could change the world from the social, economic and political feelings of the time. 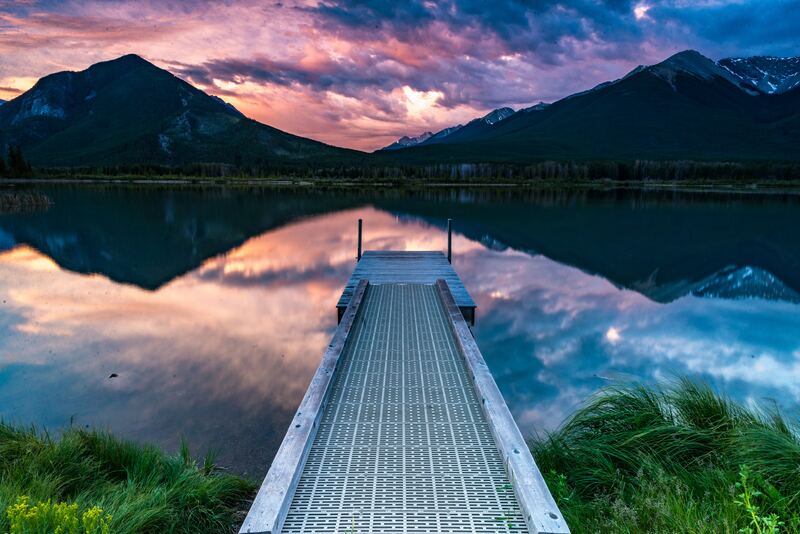 It punctured my perception of the time and what people might have considered to be ‘heaven’. As I type this, I have freedom, shelter, healthcare, education, safety, access to food and water. I am fortunate, but I know I take these things seemingly simple things for granted. The novel made me think of what would have been ‘heaven’ for many, and it would be the things I am rarely grateful for. It made me think of why a faith might have taken hold and spread and I hope it has made me more reflective and grateful for the time and place I found myself born into. This is the story about those closest to Jesus. People who were not perfect. They would have had their own motivations, personalities, ambitions. Some may have been on the edges of society and law. Some reviews have criticised Trigell for painting the main ‘characters’ in simplistic lights, often in an unflattering and two-dimensional way. I strongly disagree. While I can’t be sure of what Saul/Paul looked like (probably the most central character in the novel), nor how he acted, or what his personality or motives were—Trigell has tried to piece together the complexities of his character, to show him as flawed, yet inspired, to show him as vulnerable yet ambitious, crippled by uncertainty but driven by the need for acceptance. To read even a highly fictionalised and possibly inaccurate version of him, was to know something of who this man might have been. I might not have liked what I read, and it may have seemed disrespectful to think of a ‘holy’ man in this way, but it made him real, in hyper 4D, where before I was only ever seeing two dimensions. I see him as walking these streets, but it’s more than that, I see him in his spirit, in his past and the future that he comes to influence through his words, which changed the world we live in. 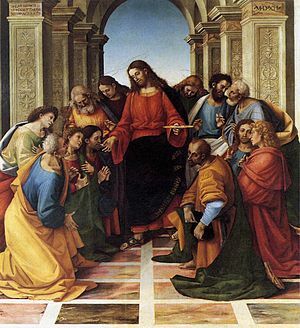 Jesus is generally painted as a central figure trying to do the right thing, but surrounded by a rag-tag group of followers who are confused, scared, violent and who are looking so desperately for answers that they might believe almost anything. His group of misfits are unsure at any time if he is the true messiah they want him to be. They have seen so many come and go that most are struggling to believe anything. The elements of his treatment and eventual crucifixion are brutal, heart-wrenching and tear-inducing. Despite Trigell’s explanation for the resurrection, I couldn’t help but be deeply moved and shocked by what happened not only to Jesus, but countless others like him. Trigell has a way with words that can make you laugh like a watery-eyed emoji, but grip you with horror and disgust only a paragraph later. This was constant throughout the book—regardless of the time, the point of view or the story arc—the beauty of the writing was breath-taking. For me, in many ways, Cephas, or Peter, was the most compelling character. 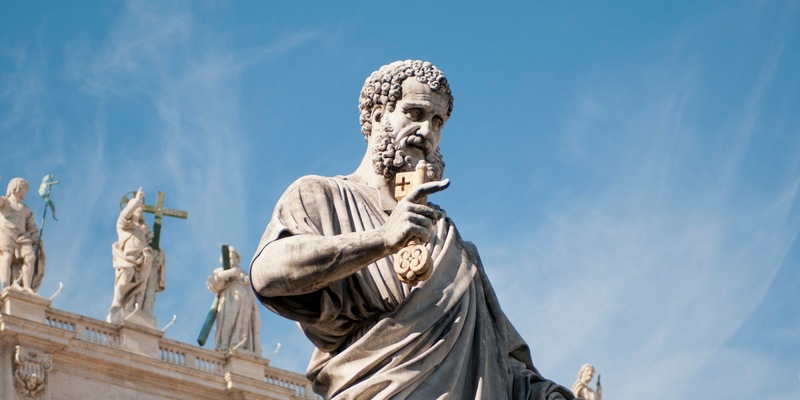 An ordinary man on whom the modern church was literally founded. The visions of Peter were hard to put out of my mind. Physical, intimidating but weak and faltering. A survivor, like many people were—yet there is something special about this man. Trigell brings him to life in a way that I have struggled to understand through the pearly gate depictions of paintings. St Peter, or possibly rock or rocky to his closest friends. The timing of my reading of this novel was challenging for me. I read it before going on a pilgrimage to Rome. I was fortunate enough to get rare tickets that allow you to descend beneath St Peter’s Basilica, to walk down through the layers of time. 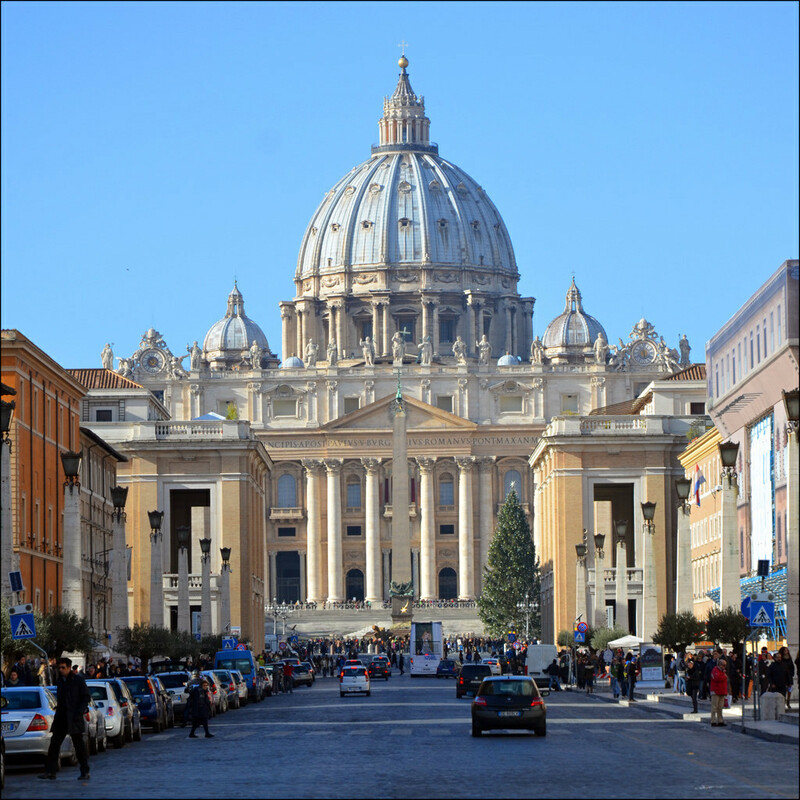 To stand on the streets where St Peter was said to have been killed and to have stood only feet away from where his remains are said to be buried. It was one of the most emotional moments of my life (and I’ve had a few). I knelt. Apologised for thinking of him even remotely in the ways that the book depicted him. But thanks to the book, I had more of a connection with St Peter, Peter, or Cephas than I have with any historical figure and that was because Trigell had brought his ghost to life on the pages of my Kindle. This was someone that lived. Someone that had witnessed these events at this unique time. He had been scared and had conflicting views of what to do next. Yet, he had always been distant in my vision. 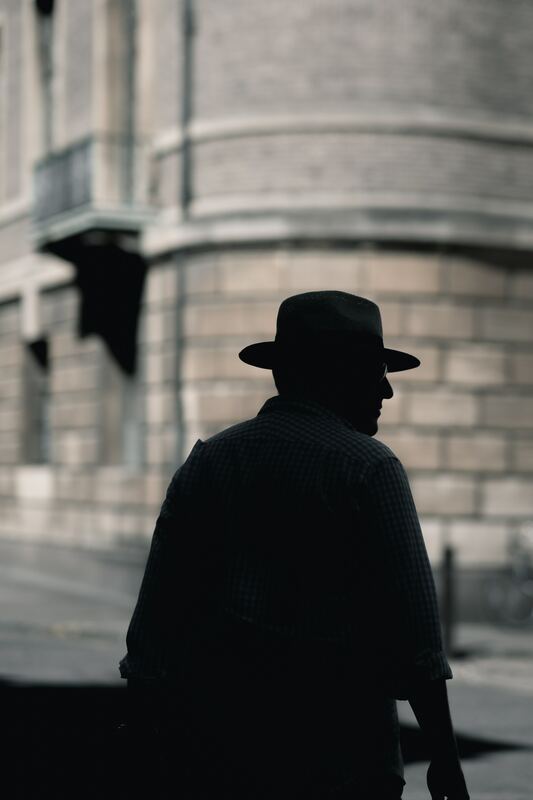 But there, feet away from him, I knelt, with tears falling through the metal grill beneath my knees, and I knew I had a closer connection him and the person he served than at almost any point in my life. 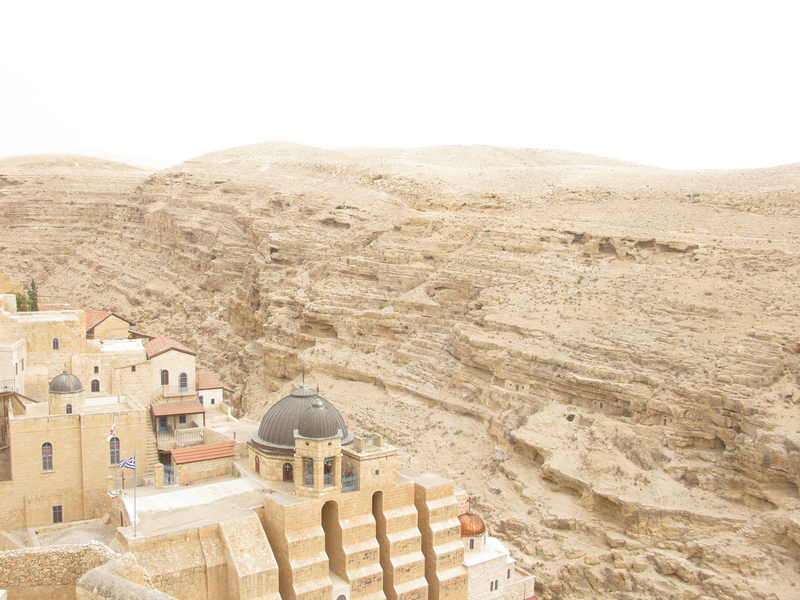 Somewhere under this incredible building is said to lie the bones of St Peter, Simon, the rock, or simply Cephas. Indeed, the saints or ‘characters’ became more than respectful names, by the end of the novel I experienced an emotional connection to them so powerful that it felt like that of older relatives that had left this world, yet their presence, wisdom, spirit and personality stays with you forever. What else is there in the book? It’s not just the people that are brought to life by Trigell. It is the times. The places. The sights and sounds. It is the fabric of conflict and oppression. Trigell doesn’t need a time machine or teleportation—who does when words can be so powerful and evocative? 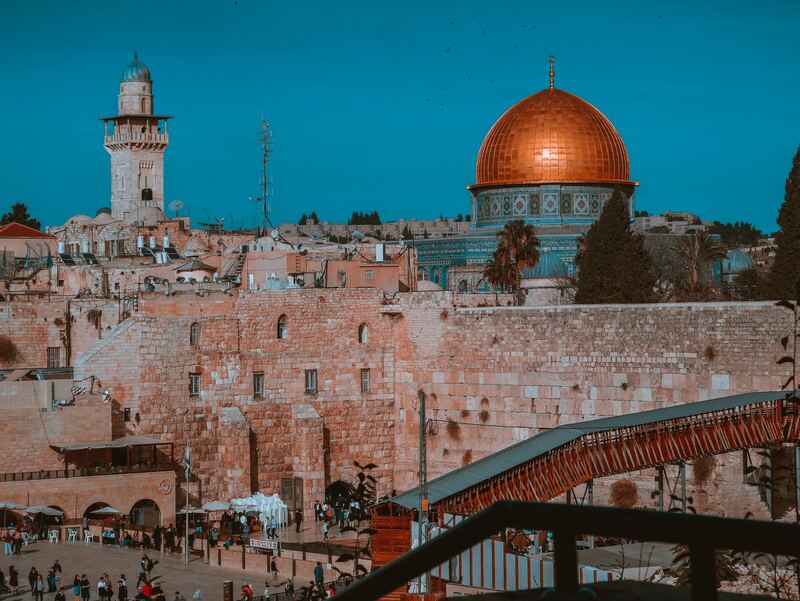 Jerusalem and the surrounding landscapes, are there in gory visceral detail. Trigell makes you wince at the beatings. Makes you run your hands over the scars of the lashes. Feel the struggle with poverty and experience the desperate pang of starvation. He makes you walk the streets of filth and turn your head away from the animals feasting on rotting corpses hanging off trees. The tinderbox of the Kidron Valley is something to behold. A terrifying place of death, of skin-melting heat—a purgatory of pent-up uprising—always on the edge. A violent inferno waiting to engulf everything—some would say the area has this tension this very day. Kidron Valley. As scary as any haunted house. During the book reading and afterwards, despite everything in me telling me that what I thought, believed and have been conditioned to accept was wrong—after careful consideration, I had a radically changed but stronger sense of faith. Fundamentally Trigell has made what seemed distant and unreal to be tangible, horrific, charming, beautiful, hopeless and hopeful, as sad as the injustice in the world today, and as real as the must-buy iPhones, Instagram selfies and throwaway plastics that cake the oceans. My emotional connection to these stories and people has changed beyond all recognition because Trigell took the stories, heavily researched, reanimated the people and dosed everything up with super-strength imagination. I am grateful. Everything before was too removed, sanitised and perfect. A story that has been told a thousand times before—from four narrow points of view. But Trigell told it from the key players, but explaining a time and place that I didn’t appreciate or understand. Sometimes, I guess, you need to see the movie in IMAX widescreen to appreciate the full picture. 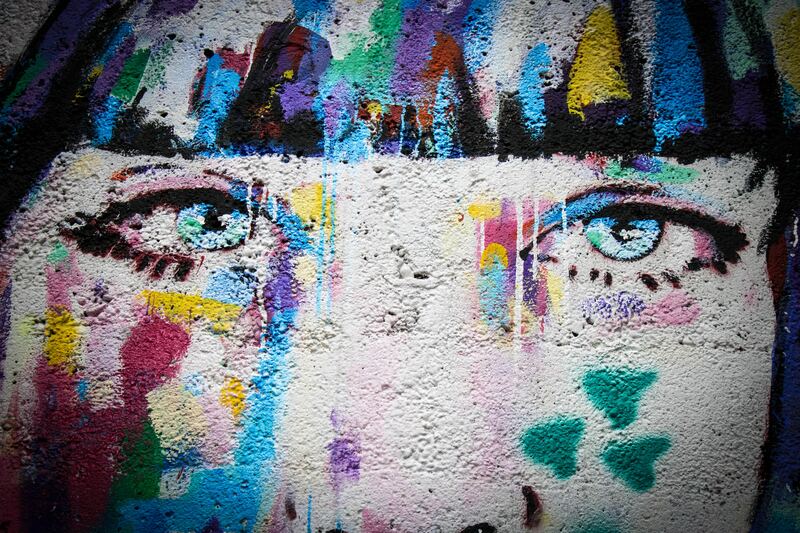 Maybe I’m still not seeing the full picture, but hopefully I’m seeing more. So why should a book that did so much to rationalise events and justify everything with logic give me a closer feeling of faith? It strangely made me believe more because something about this specific story was different. Something happened that was so powerful, different and astonishing that it changed the shape of the world and caused so many to sacrifice everything—despite the punishment that they knew was coming. And it came in ways that are sickening and ferocious and the persecution didn’t stop, and hasn’t stopped even to this day. In the stories of the great world faiths and those of local heroism and legend, there has to be enough truth in what happened to inspire so many people. Did the book, in some way, connect me more to those times and those well-told stories? Absolutely. To me, The Tongues of Men or Angels is a beautiful, brutal, tragic and humbling piece of work that I will never forget. It has profoundly changed my view on the world and I am thankful to Jonathan Trigell for writing it, for making me cry, for making me question faith (and life), for giving me a renewed connection and realism to a time that I didn’t understand and couldn’t appreciate or visualise. 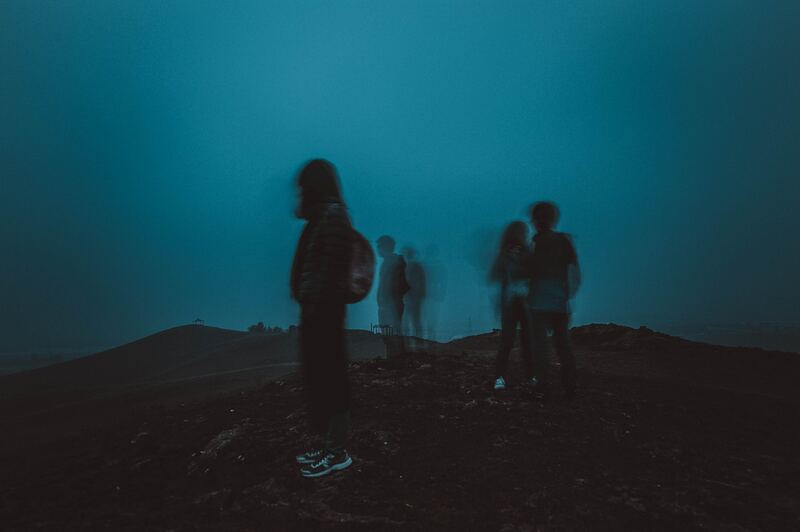 To understand that saints were often far from saintly, that exaggeration of events and osmosis of ideas happens for good reason—yet, I am closer to these once-living and breathing people than I ever have been before. I carry them with me, in my thoughts and in my hope, in ways I couldn’t have imagined possible. Ghost with me? Maybe not, but it sort of feels like I carry visions of who they were or could have been. I have no idea what’s next for Trigell, but this will forever be something that changed my views, inspired me and makes me a barely contained emotional wreck even thinking about it. This book won’t be for everyone, and in many ways, I genuinely hope people don’t read it based on my views as they are profoundly personal. For me, the Tongues of Men or Angels is the greatest fictional story ever told on what is referred to as the greatest story ever told. A work that transcends words and pages, places and ages. It filled at least one reader with a tangible, unforgettable sense of how the death of one man came to change the world. 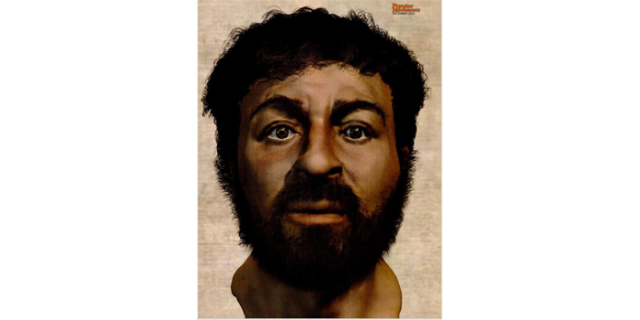 A recent attempt to show what the ‘real’ Jesus might have looked like.